If your client’s current flooring is falling apart, or more trouble than it is worth, then perhaps remodeling is the right step. 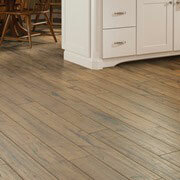 Most of the issue for flooring remodeling isn’t how to install the material — it is deciding on which material to use. 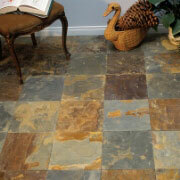 Our showroom has dozens of selections of flooring, many of them on display for you to observe. Though deciding on which flooring option to go with is a challenge, we here at ProSource® of Orange County believe that with tangible samples, we can help you make this important decision. Carpet has a way of making a home feel warm and comfortable. 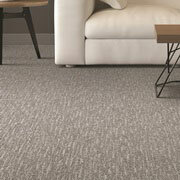 If you are designing a home from a color palette, carpet is by far a more flexible option than other flooring options. Carpet can come in thousands of shades and can be easily color-matched. 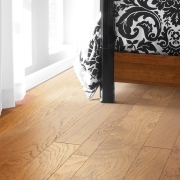 Hardwood is a classic option that will make your client’s floors look smooth and well-composed. If you are looking for a place with a spectacular collection of hardwood flooring options, ProSource of Orange County would be the place. If you appreciate the aesthetic value of wood flooring, but don’t want the hassle of its upkeep, laminate flooring is an ideal option. Laminate is made from melamine resin and fiberboard, rather than real wood. With this option, you can have the look of wood panels, yet have a strong, durable material to coat your floors. Tile is a great flooring option for many reasons. One of them, being that tile is extremely durable. Also, tile is hypoallergenic and eco-friendly. Tile is also a beneficial flooring option because it is a low maintenance material that rarely stains and is easy to clean. Vinyl flooring is a popular flooring option for most homeowners because it has the overall look of wood flooring, but is much more affordable. Also, vinyl is extremely durable and difficult to scratch. 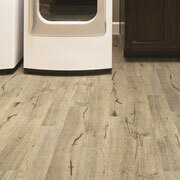 So, if you have an active household, vinyl could be an ideal flooring option for you. We proudly serve throughout Newport Beach, Irvine, Costa Mesa, Huntington Beach, and Laguna, California. The ProSource of Orange County showroom is conveniently located in Irvine, California and serves all of the neighboring cities including Aliso Viejo, Capistrano Beach, Corona Del Mar, Costa Mesa, Dana Point, Foothill Ranch, Fountain Valley, Garden Grove, Huntington Beach, Irvine, Ladera Ranch, Laguna Beach, Laguna Hills, Laguna Niguel, Laguna Woods, Lake Forest, Midway City, Mission Viejo, Newport Beach, Newport Coast, Rancho Santa Margarita, San Clemente, San Juan Capistrano, Santa Ana, Seal Beach, Silverado, Sunset Beach, Surfside, Trabuco Canyon, Tustin and Westminster.